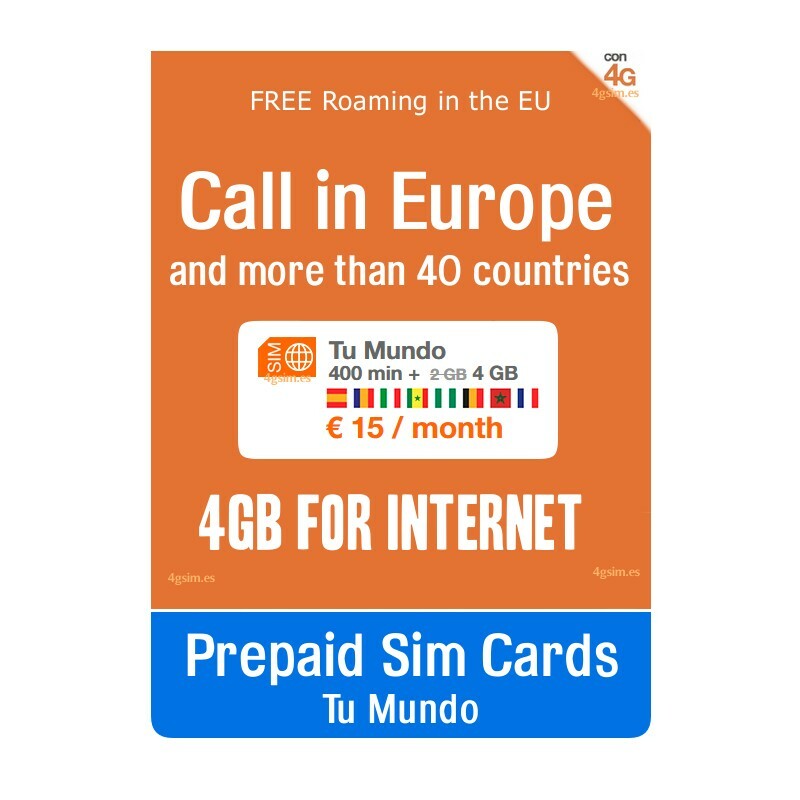 With Orange Tu Mundo in Spain and all Europe you have national and international calls, and now 2GB 4GB for browsing, in just one SIM. 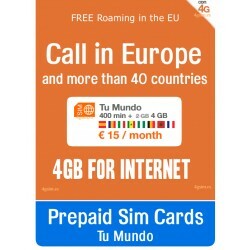 2GB 4GB of navigation at 4G DATA speed in Spain and all Europe. Also until March 8, 2018 you will enjoy double GB for the same price, your rate will have 4GB instead of 2 GB. Consumed the bonus, speed down to 16 kb / s.
400 minutes to talk with mobiles and landlines: Spain, Germany, Austria, Belgium, Bulgaria, Denmark, France, Greece, Holland, Hungary, Ireland, Iceland, Italy, Luxembourg, Malta, Norway, Poland, Portugal, United Kingdom, Czech Republic, Romania, Sweden , Canada, USA, Colombia, Puerto Rico, China, Hong Kong, India and Israel. landlines: Morocco, Croatia, Slovenia, Switzerland, Argentina, Brazil, Chile, Mexico, Paraguay, Peru, Venezuela, Indonesia and Japan. 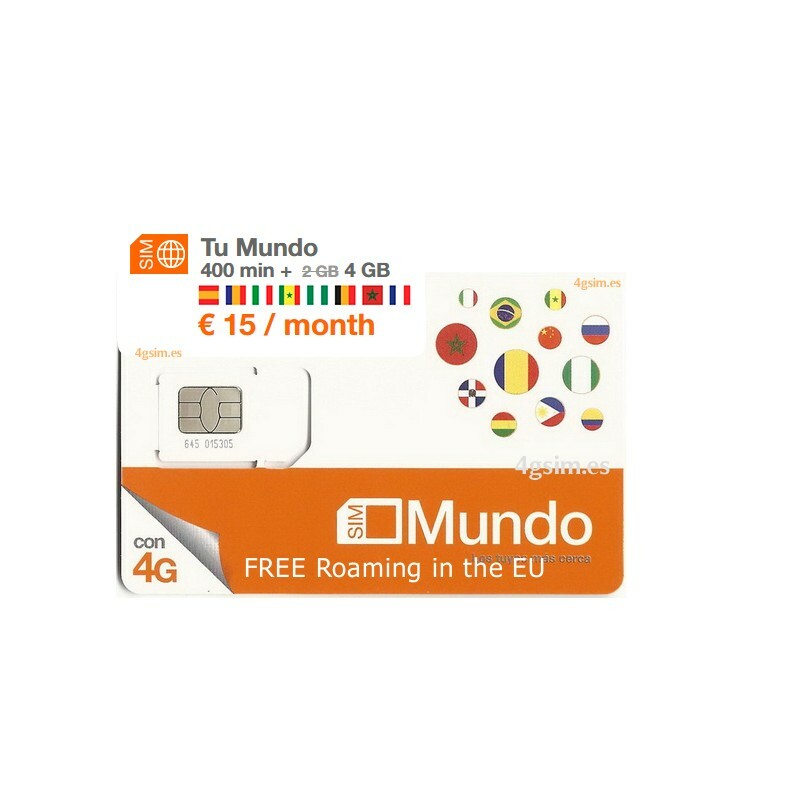 1,000 minutes from Spain to Orange Mundo lines and / or between Mundo lines (roaming not included). The calls you receive in zone 1 will not cost you. The customer can call a maximum of 40 different destinations per month. - Hire the Extra Bonus 500 MB for 4 € / month. You can continue browsing at 4G speed for 30 days or until the expiration of your rate. - Early renewal: You can renew the benefits of the fee in advance. * Important: both the minutes and the data are renewed; you can not renew the benefits separately. Incoming calls are accepted in all countries. 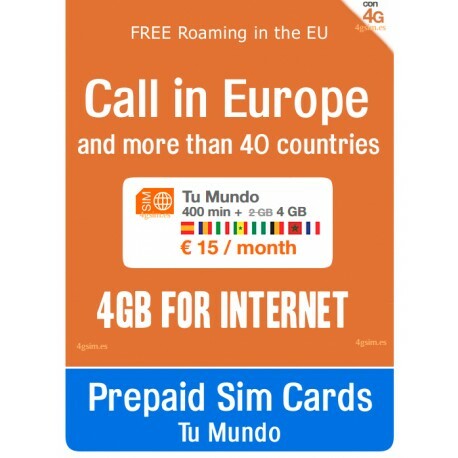 Outgoing calls are possible only in the host country and in Spain. 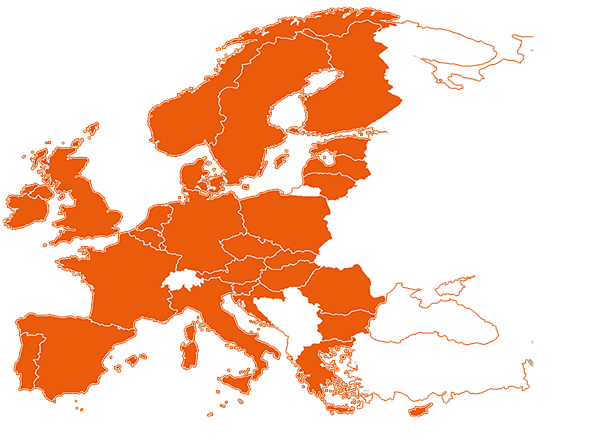 To communicate with each other - it is convenient to call between Orange Sim-cards. We want you to enjoy all the benefits of 4G network, we focus on the highest quality of our network in cities with coverage. Now we are at 87% of the Spanish population, including all provincial capitals and municipalities with more than 10,000 inhabitants. And we continue to grow. 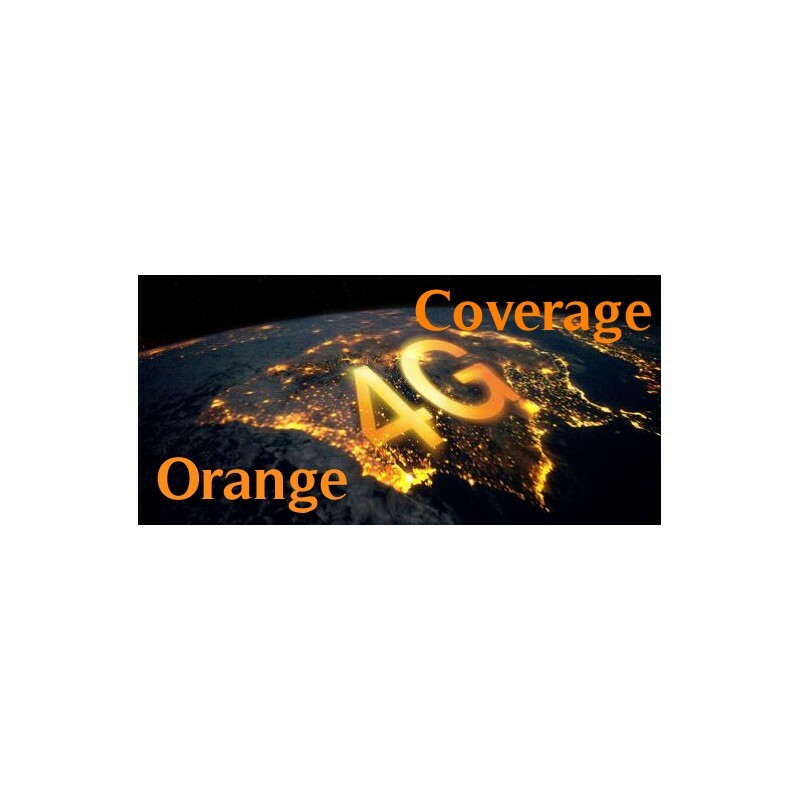 The objective of Orange is to ensure your experience 4G ensuring maximum speed both downstream and upstream. Now, everything is faster with 4G. 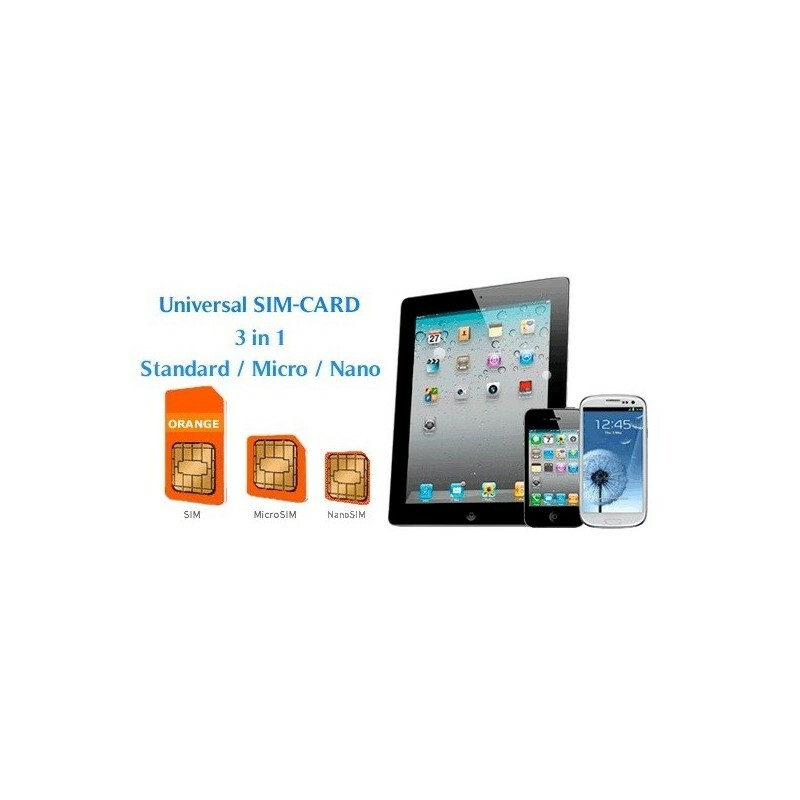 Note: We will register for you with your personal dates provided this SIM card. We need the ID card number or passport and date of birth in order to activate it.